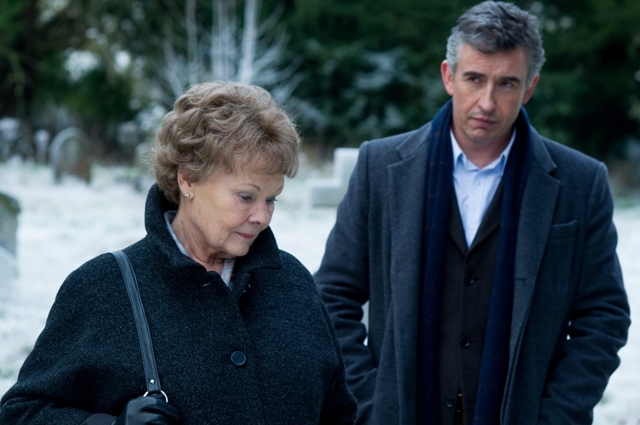 A film alive with love, heartache and the power of hope, "Philomena" is an entertaining experience that engaged and enthralled me throughout. Judi Dench is terrific as the title character on a search for the long lost son taken from her in Ireland in the 1950s. Steve Coogan plays the journalist who helps her. He co-wrote the screenplay, which is virtually air-tight. Stephen Frears directs this true story with maximum sensitivity and eloquence.